Skype , the venerable VOIP application begins to deploy its web version. This shift was expected for several years. The new web application will allow users to chat and make calls directly from their favorite browser. 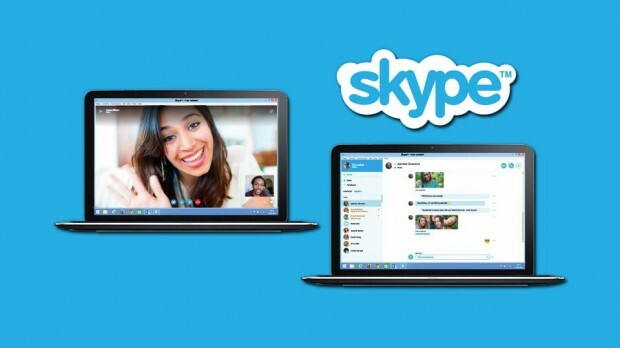 Access to the Web version of Skype will be from Skype.com. Suffice to login to access it. From there, it will be possible to access the contact list, chat and make calls in VOIP. To use Skype from a browser, users will need to install a plugin. However, as Google Hangout , the Skype Web version should eventually be compatible with the PSTN technology. Clearly, it will not be necessary to install a plugin on the browser for the application to be functional. Which will use the service on any computer. Skype for Web is the easiest way to enjoy Skype’s features without downloading the app. You can sign into Skype for Web on Skype.com and get chatting straight away on instant messaging. If you want to make voice or video calls, you’ll need to download a plugin. It is not quite the first Skype Web application. It is already possible to chat and make Skype calls from Outlook.com . The technology is similar to what is advertised and most importantly, you can access it now. This new version of the Skype for web is still in beta mode, In fact, you must have an invitation to use this. And it seems that only a small number of users can access it. Invitations are distributed directly to Skype.com. So just to access your account and to validate whether you have been selected to test the Web version of Skype premiere. Previous: What’s new in iOS8?